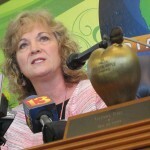 State superintendent Glenda Ritz is teaming up with her former gubernatorial adversary John Gregg to encourage voters to address the teacher “crisis” that’s been a popular topic of discussion and encouraging voters to keep education in mind when voting for governor in 2016. Indiana schools are facing a crisis. Our schools can’t hire the teachers they need because Governor Pence has been working to undermine public schools and educators almost since the moment he took office. Over the last few years, Governor Pence diverted taxpayer money into private school vouchers, fought to expand unaccountable charter schools, attempted to oust the democratically elected State Superintendent of Public Instruction, worked to undermine the rights of teachers, and defamed the very profession of teaching. Our teachers — and our kids — deserve better. They deserve a governor who is committed to their success — not an ideologue with his own agenda. And they deserve a governor who will work with the elected State Superintendent, teachers, parents, students and administrators — not against them. As the new school year begins, there’s no better time to set a new agenda and demand Governor Pence strengthen public schools. 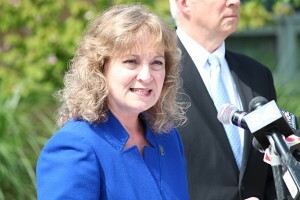 This collaboration comes just a little over a week after Ritz exited the gubernatorial race, saying instead she will focus on her re-election as superintendent. The other Democratic challenger, Karen Tallian, dropped out of the race Monday, leaving Gregg currently as the only challenger to Pence.